Liverpool regained the top position,A stunning win over Bournemouth. Back-to-back draws against Leicester and West Ham had seen Jurgen Klopp’s men usurped by Manchester City on goal difference in midweek. Liverpool regained the top spot in the Premier League by getting back to winning ways, easing to a 3-0 victory over AFC Bournemouth at Anfield this afternoon. Only ten days after an emphatic 4-0 win over Chelsea, Bournemouth were outclassed and outmuscled against Jurgen Klopp’s men. Against a determined Liverpool side, it was always going to be difficult, but on Sunday, they couldn’t even find it in themselves to justify their potential. The Reds started quite well and broke the deadlock midway through the first half and Goals from Sadio Mane, headed home from 8 yards after being found by an excellent James Milner cross in the 24th minute. 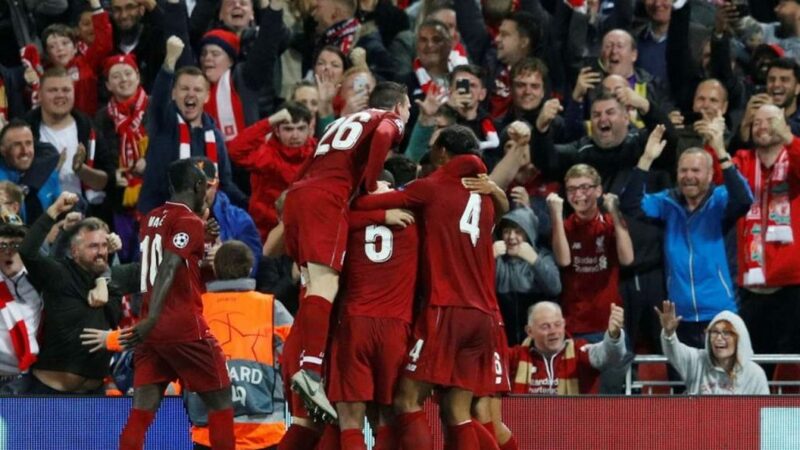 Liverpool continued to dominate and doubled their lead just 10 minutes later and it was a wonderful goal as Georginio Wijnaldum lobbed the goalkeeper with an audacious effort to make it 2-0 with 34 minutes played. Incredible levels of pressing from #LFC in the opening minutes. A good atmosphere is helping with that. The three points were all-but secured shortly after time as Liverpool made it 3-0 in the 48th minute when Mohamed Salah slotted home in to the bottom corner after being found by a cheeky back-heel from Roberto Firmino. Jurgen Klopp’s men saw out the rest of the game with ease to secure a 3-0 victory which moves the Merseysiders three points clear of Manchester City ahead of their huge clash with Chelsea on Sunday afternoon. Much better here. Good pressing and movement. Bournemouth being stubborn but keep this up and they'll crack. Following two consecutive draws PL Leaders needed to come up with a fitting response and they responded in the best possible manner against Bournemouth. During the match they kept the tempo right, all the three goals were great and effortless.